Posted on 11, April 2018 by EuropaWire PR Editors | This entry was posted in Aviation & Aerospace, Education, Sweden, Transportation & Logistics and tagged drivers, MOROCCO, school, training programme, truck, truck drivers, Volvo Group. Bookmark the permalink. GOTHENBURG, 11-Apr-2018 — /EuropaWire/ — The Volvo Group is starting a training programme for truck drivers in Morocco. This is the second driver training school in Africa that the group is involved in. The aim of the schools is to increase traffic safety and reduce the number of fatal road accidents. In Morocco the need for well-trained, certified truck drivers is growing. The country wants to strengthen its position as a regional transport hub. At the same time it has major problems with traffic accidents and deaths on the road. In order to improve traffic safety and make Morocco’s roads safer, the government has decided to start a school for truck drivers. 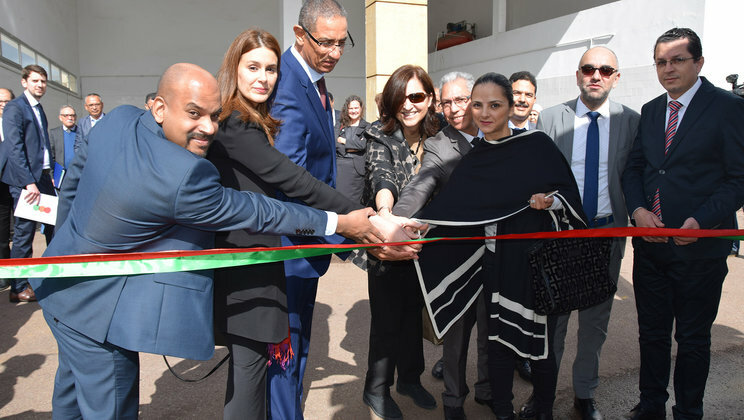 The school, which will be located in Casablanca, is a collaboration between the Volvo Group, the United Nations Industrial Development Organisation UNIDO and the American development agency USAID. An official ceremony was recently held to launch the project. The first students are expected to start their training at the beginning of next year. “We are proud to be involved in the project and to help the Moroccan government with this important issue. By training local people, we are supporting sustainable growth in the countries where the Volvo Group does business,” says Johan Reiman, who is responsible for apprenticeships and driver training within the group in Africa. The plan is to train around 500 professional drivers over the next four years in subjects such as safe and fuel-efficient driving. The Volvo Group is providing vehicles, equipment and teacher training. The group companies Volvo Trucks, Volvo Buses and Renault Trucks are cooperating on the training programme. This is the second school for truck drivers that the Volvo Group is involved in. The first driver training programme will start in June of this year when a school for around 500 students is opened in Ethiopia. The Volvo Group has also been running apprenticeships for mechanics in Africa since 2013. There is a major shortage of mechanics in many African countries, while unemployment levels are often high. The first school was started in Ethiopia and several groups of students have now completed the course there. In 2015 a similar school was opened in Zambia and also one in Morocco.